Report on my 8th Island peak climb. 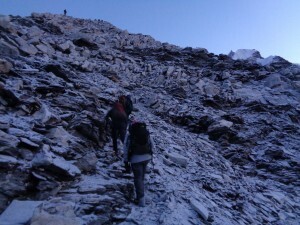 Climbing Island peak for the 8th time this pre-monsoon season was interesting. We had seven people before the trip. 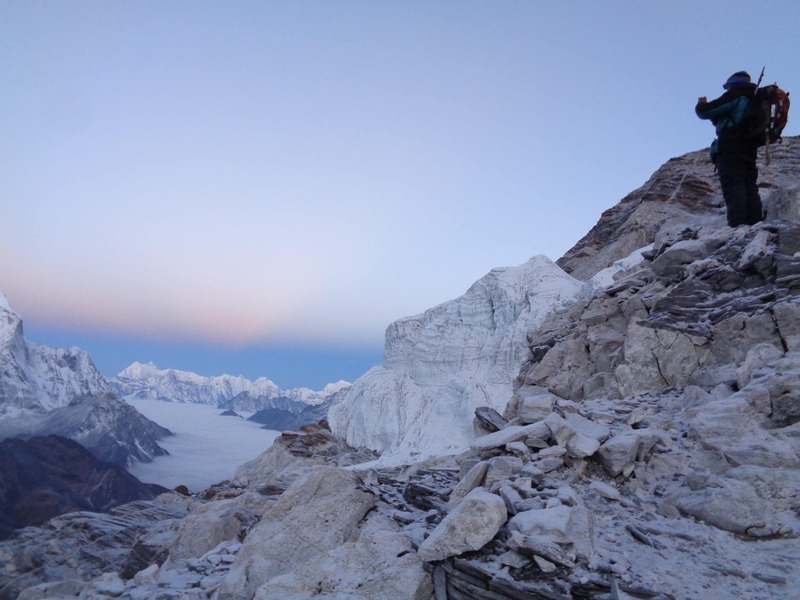 Two people moved their climbs to September 2016 and 2017 climbs. Check out our Up coming climbs. We had five climbers. Two people got chest infections, two pushed as far as they could and one person made it to the top. Everyone made it home safely. This moves our summit success rate down to 85%. READ SOME REVIEWS. In 2017 we have 100% on 5 out of 7 climbs. I have to say we had a lot of sickness, coughing, bugs, chest infections and people challenged by the lack of oxygen. I would surmise that some people didn’t have the correct physical preparation and mountaineering training required for this climb. We had random people looking to join our team in Chuckung with no mountaineering experience or proper gear. I saw lots of teams with no ropes, radio’s, medical kits or decent guides and amazed that people are just showing up with no experience and thinking everything will be fine. 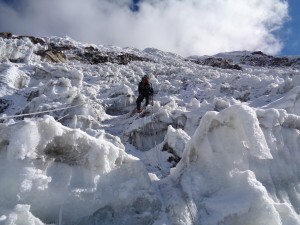 Remember most people are not making it to the summit of Island peak!!!!!!!!! Island peak changes from season to season and year to year. Do not listen to anyone who has climbed it once or years ago. They have no idea of what it is like climbing on this mountain season to season. 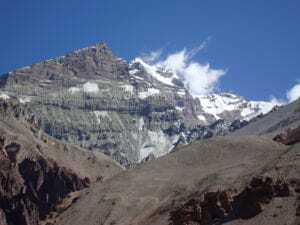 Island peak once again is being underestimated by climbers and and not being respected. 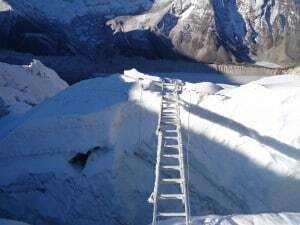 Some people renting boots in Chuckung, not doing any training, trying to cross dangerous ladders, ice and rock in challenging conditions. I shot more raw footage from Island peak last week and will continue to try and educate people thinking Island peak is a walk in the park. 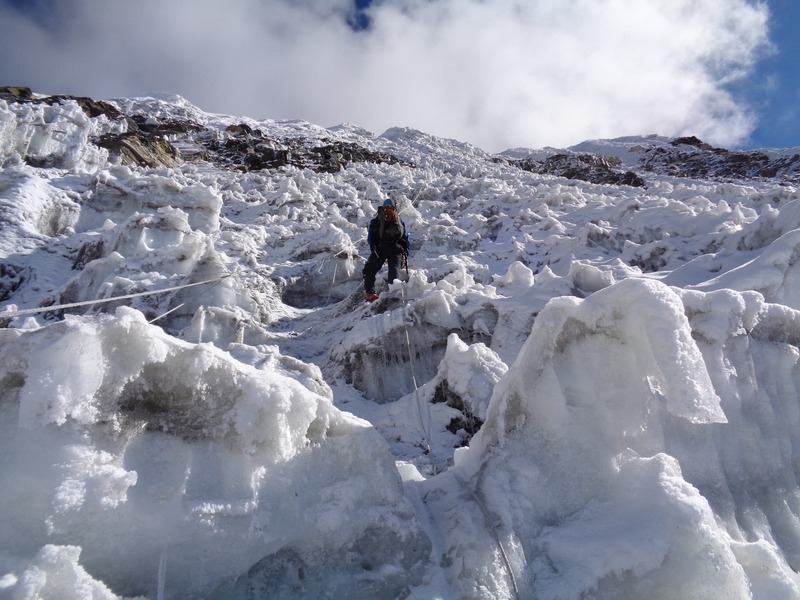 You need to do a winter skills course, learning how to abseil with a figure of 8, learn how to walk proficiently on crampons on ice and snow. Train crossing ladders, build serious leg strength in your calf’s, quads and lower body. You need excellent core stability and strength and understand from this video what training you need to do in preparation for your Island peak climb. 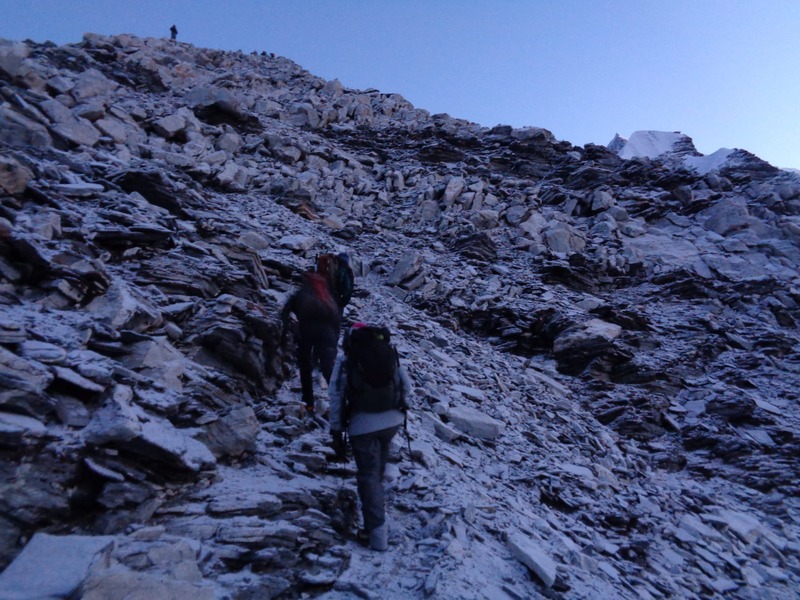 We are always available 5 days a week to help you get the information you need and making a safe and successful ascent and descent of Island peak. 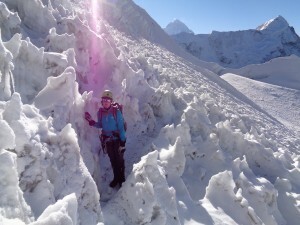 READ MORE here about our approach to climbing Island peak. I report on my 8th Island peak climb each time in an effort to help you be more prepared for your climb. I want to maximize your and everyone’s changes of making it to the summit and back down again. 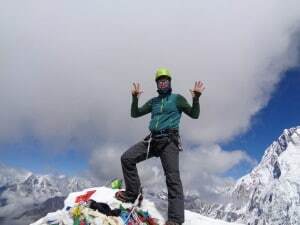 CONTACT ME and take the first step in your Island peak adventure.